A spirit that comes into contact with Yakumo. She has an enigmatic past and motive which have not been made known. She claims to be much older than her child-like form. Her first appearance in the anime is in the first episode of the OVA. 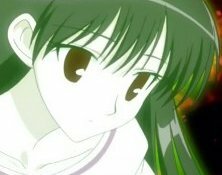 She appears again later in the second season.